Joe and Jane have a very busy life style. Joe runs the 960-hectare stock farm consisting of about 200 suckler cows, which run with the Limosin bulls and a Simential Bull. Philip works on the farm along side Joe. We have about 1500 Ewes mainly Scottish Black Face and a few Mules. We breed Black Faced Tups, which we sell at Lanark auction mart and Hexham Auction mart. We start lambing in the sheds on the 1st April till about the second week in May when the hill ewes finish. Spring calving will begin about 1st May. 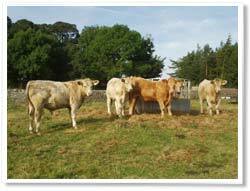 The cattle are turned out into the fields in May and come back in to the sheds in October, depending on the weather. 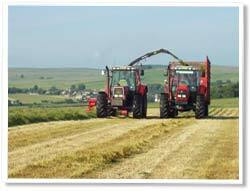 Silage making and Hay making takes place in June and July depending on the weather. Harvest time starts in August and th e crops are sown in September. The sheep work is all year round including clipping, dosing, tup time, scanning and lambing. We all work hard but most of all enjoy what we are doing in a fantastic scenic part of the world. Copyright © 2019 Dunns Houses Farmhouse. All Rights Reserved.